Dermal Fillers or Injectable Fillers is a common non-surgical procedure to add volume to the face and lips. Fillers will help reduce facial folds, lines, wrinkles and sagging skin. Many different FDA approved fillers exist and different factors help determine the most appropriate filler choice. Hyaluronic acid (HA) is one of the most common and popular active ingredients found in dermal fillers. HA is a naturally occurring substance found in the body with high concentrations in the skin. Juvederm and Restylane are HA type dermal fillers. 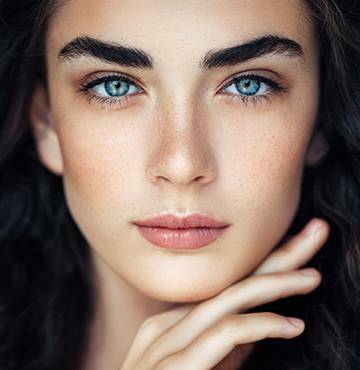 Dermal fillers are commonly used to augment nasolabial folds (depressions between the corners of the nose to the corners of the mouth), marionette lines (below the corners of the mouth to the chin), lips and cheek depressions. The cost of dermal fillers can vary and depends on the number of syringes and treatment locations. The price for one syringe of filler is between $650 to $800. We customize each treatment depending on your goals during your consultation appointment. Dermal fillers are best administered by an experienced provider with skill, knowledge and precision. A provider using proper techniques will help to ensure the best result. At Houck Dermatology, we strive to deliver outstanding outcomes for each patient based on their concerns. After receiving your dermal filler injections, you can resume most of your daily activities. Common reactions include mild redness, swelling and bruising which is temporary and should resolve quickly. It is best to avoid strenuous activity for 48 hours and use ice to help alleviate any swelling. Other less common side effects include infection, filler irregularity, small nodules, and tissue necrosis. The results of dermal fillers are usually noticeable immediately. The results tend to last up to 6 months requiring patients to receive 2 treatments a year to maintain results. Dermal fillers are not recommended while pregnant or breastfeeding. Dermal fillers are not indicated for patients with skin infections near the treatment site and/or allergy or hypersensitivity to lidocaine. Houck Dermatology strives to make each patient feel comfortable and answer any questions you may have. We look forward to helping you achieve your goals. If you decide a dermal filler is right for you, we will make every effort to give you the best result possible.